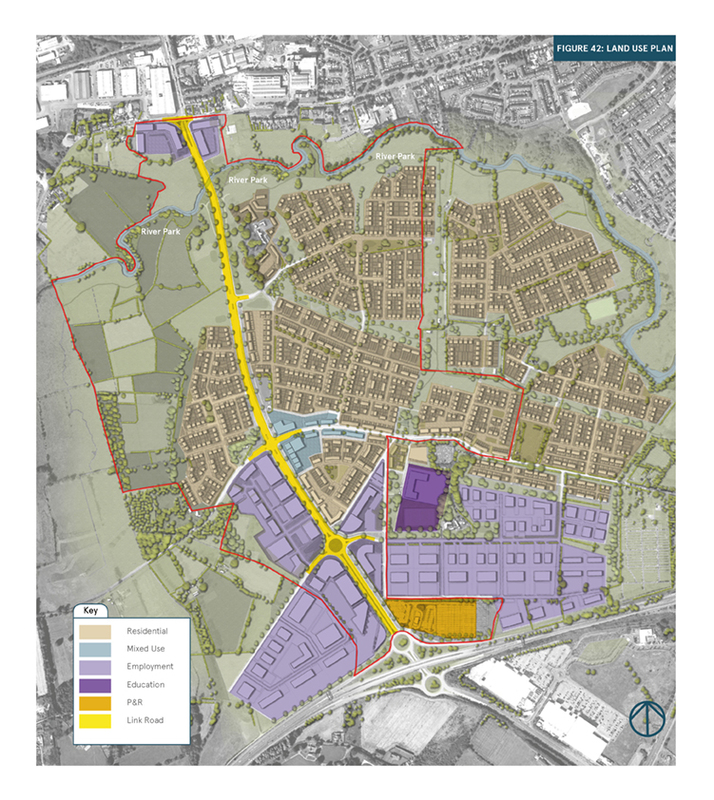 Two planning applications proposing major residential, commercial and infrastructure developments to deliver a £250million sustainable mixed use neighbourhood at Blaris, Lisburn have been lodged with Lisburn and Castlereagh City Council by Neptune Carleton LLP. The proposals include 1300 dwellings, 770,000 sq. ft. of commercial floorspace and a new 1.6km road and bridge over the River Lagan to connect the M1/A101 at Sprucefield to the signalised junction at Moira Road/Knockmore Road. The provision of the 1.6km M1-Knockmore link road includes a two-span bridge over the River Lagan and is the key driver to unlocking the growth of the city at West Lisburn, facilitating the development of the proposed lands at Blaris and a future link to the nearby Maze Long Kesh site. The masterplan for the neighbourhood will see the creation of a riverside park alongside the Lagan with attractive landscaped walkways connecting to a range of new housing. It will also see a realigned and upgraded Blaris Road as the focus of a community hub of local shops and facilities to support the new neighbourhood. Major employment floorspace with the potential to generate some 1500 new jobs across a range of business uses including a new hotel and pub/restaurant is also included. 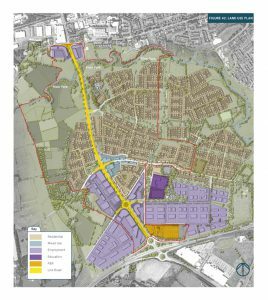 The economic impact accompanying the proposals anticipates over 330 construction jobs per annum across the wider development contributing some £195 million local economic benefit over the anticipated 20 year lifetime of the project.